I got a bone to pick with you, U.S. News!…I read your list and was appalled at most of your choices. Well, frankly, I don’t think a list of best diets should be published since we shouldn’t be dieting, just eating healthy and exercising. Secondly, Jenny Craig was number 8 on the “best” diets list…Are you f’ing kidding me?! I read your list of criteria for making these choices on what the best diets are. You mean to tell me that none of your “experts” or guidelines bothered to find out that Jenny Craig has had numerous, numerous lawsuits against them about their diets causing gallbladder disease. I’m not going to go into other health problems people have had on their chemically laden – process food diet. Jenny Craig’s food is overly processed and contains “fake fat.” I don’t believe that processed foods are considered healthy, which is why we’re all eating organic these days. Processed meats and foods can cause a myriad of health problems. I love to go after Jenny Craig as we know and I created this blog to stop the dangers of the dieting industry. 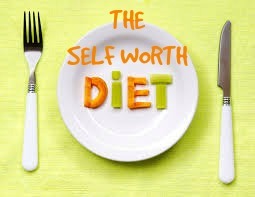 Diets fail and tell you that you’re not good enough. What we should be teaching is healthy eating patterns and that we need to deal with our emotions rather than starve or over eat. So, U.S. News, why don’t you try being really healthy and advocate NOT dieting. The last thing we need is a list of diets to make us feel less than. A diet is never going to “fix” you and 99 percent of the time you’re going to gain the weight back.